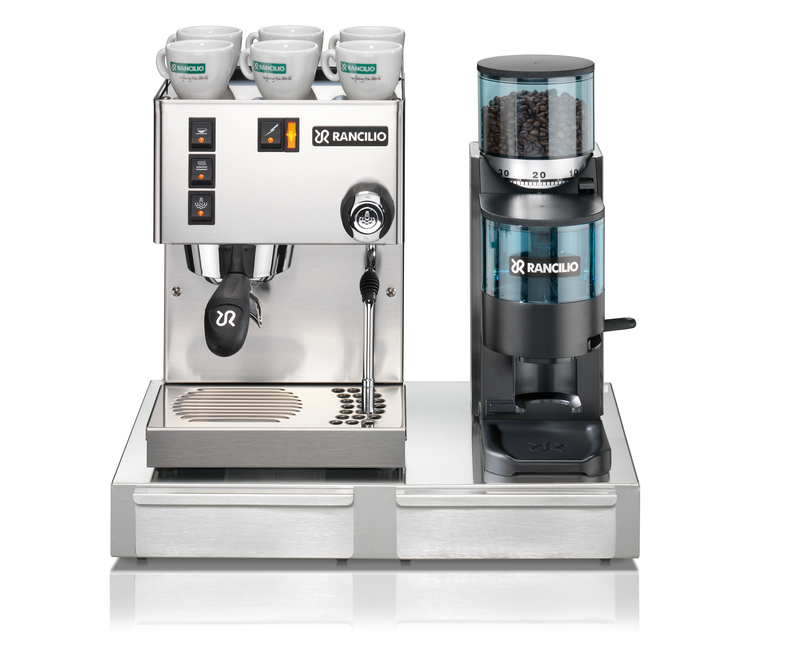 Perfect companion to the Rancilio Silvia espresso machine and Rocky Grinder. 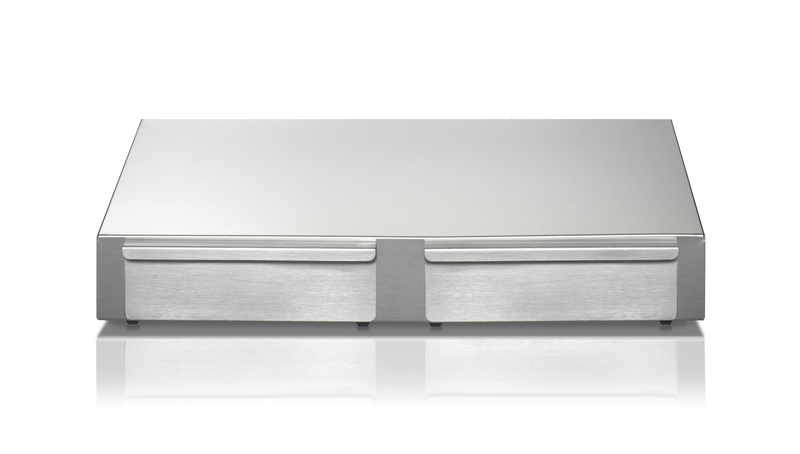 This stainless-steel base keeps the Silvia and Rocky organized in your kitchen. Features two front drawers; one to hold coffee scoop and group cleaning brush and one acts a knock-box to dispose of grinds from portafilter between shots. Both drawers are removable for easy cleaning. The knock-box drawer features a wooden rod to assist with removing the grounds from the portafilter.